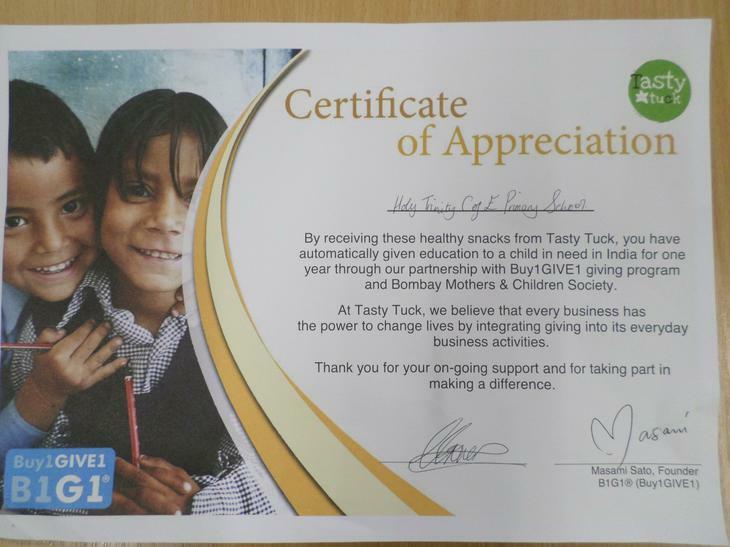 By supporting our Tuck Shop each week you help provide education to a child in need in India through our partnership with Tasty Tuck and BUY1GIVE1. Tasty Tuck believe that every business has the power to change lives. Tasty Tuck helps lots of people in India and is a very yummy, tasty and healthy snack. Our Tuck Shop has already given education to a child in need in India for a year!